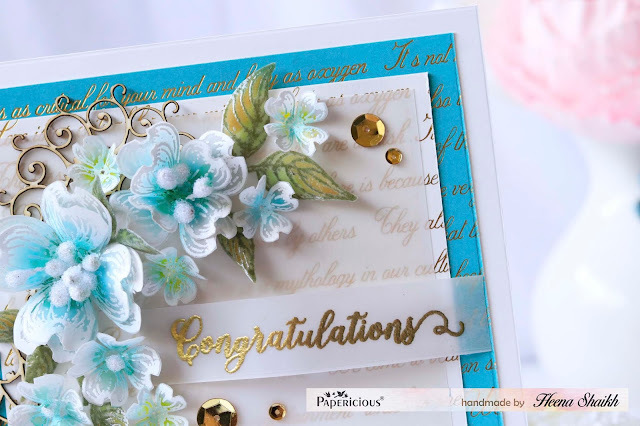 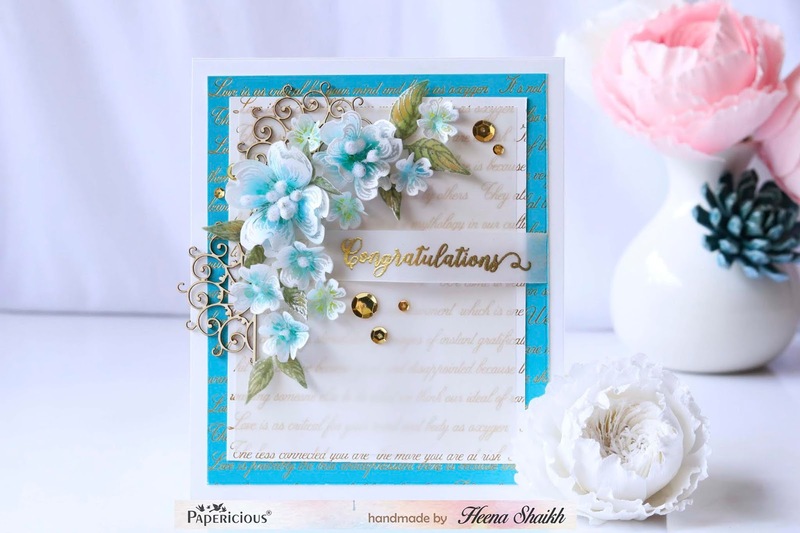 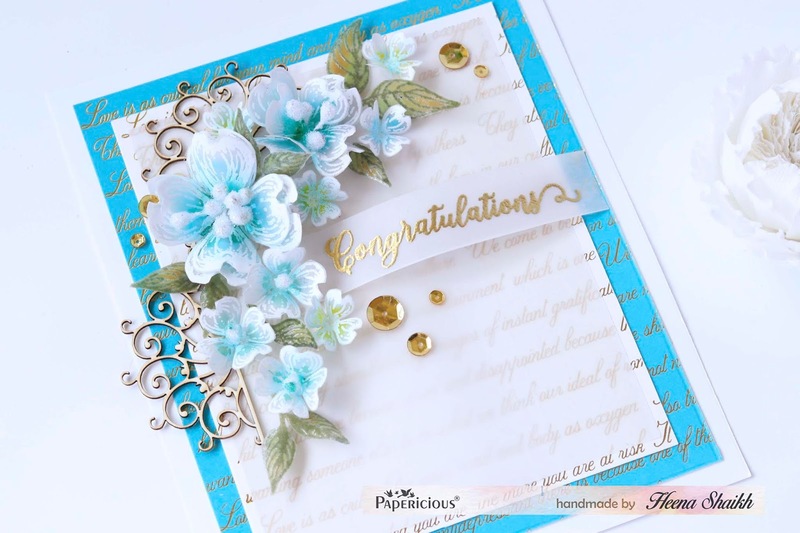 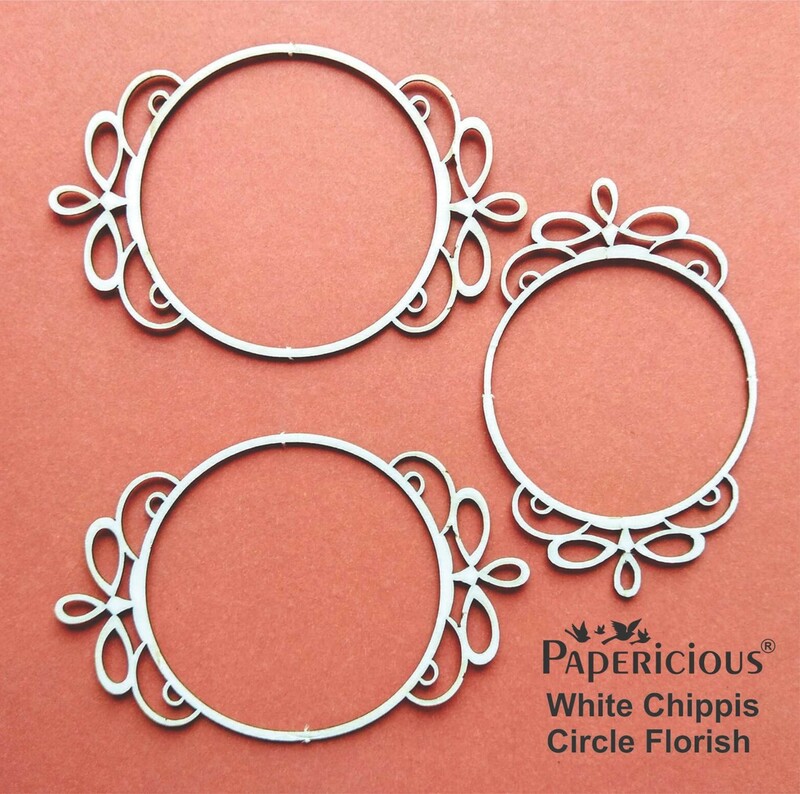 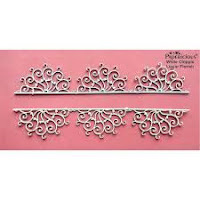 Heena here from bloomingpaperbuds.com, today I have two projects to share featuring the papericious vellum cardstock. 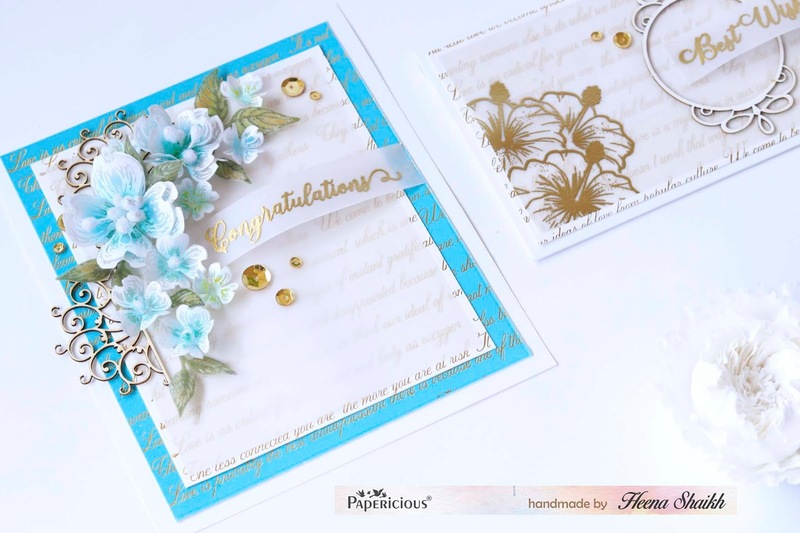 One is a card and another one is a money envelope. 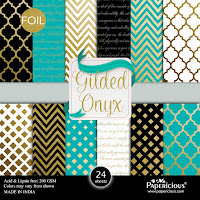 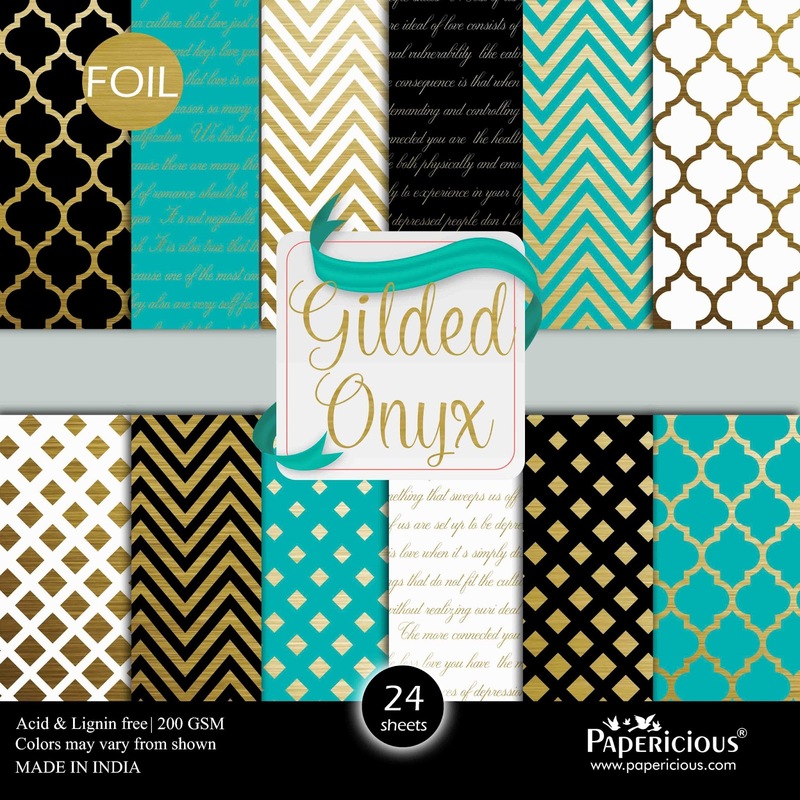 I have used the gorgeous Gilded Onyx pattern papers along with the vellum cardstock. 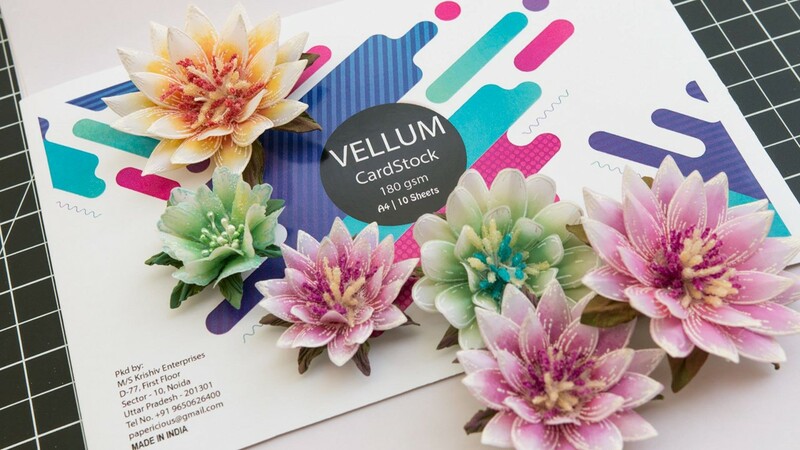 The vellum cardstock is 180 gsm and this is a speciality vellum designed especially for making flowers and it is sturdy enough to use with embossing folders and it does not warp when heated so it is also great for heat embossing. 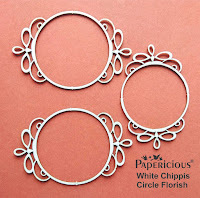 Papericious has also launched two more products along with this so go check out the new release if you haven't already. 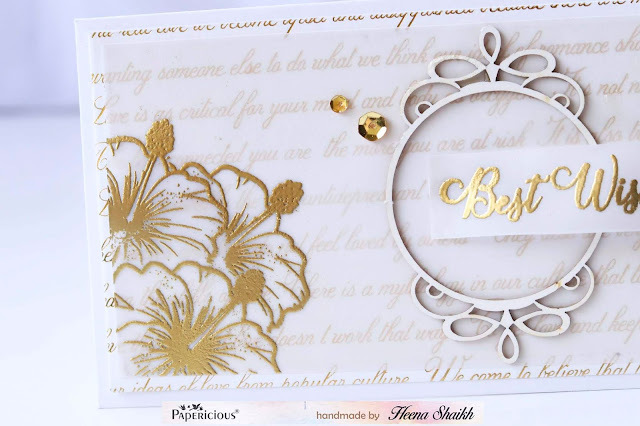 For this card, I have used pattern papers from the Papericous Gilded Onyx paper pack along with the vellum cardstock. 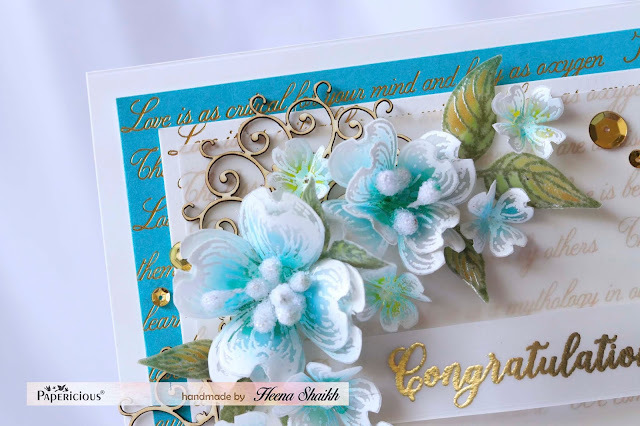 The flowers and leaves are also made using the vellum cardstock. I have also used the linear borders white chippis. 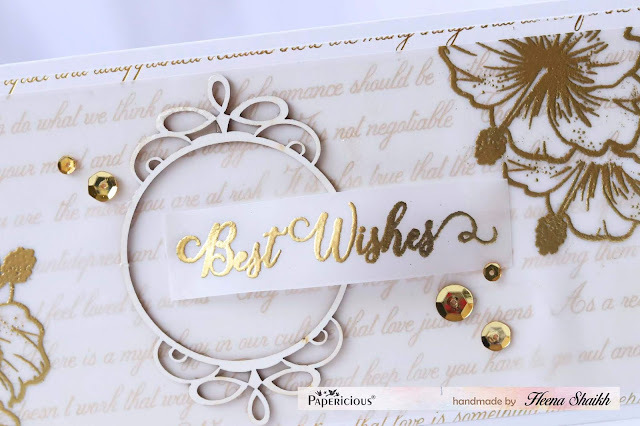 For this envelope, I have again used pattern papers from gilded onyx paper pack and circle flourish white chippi. Beautiful !loved the vellum flowers,the card and envelope look very elegant ! 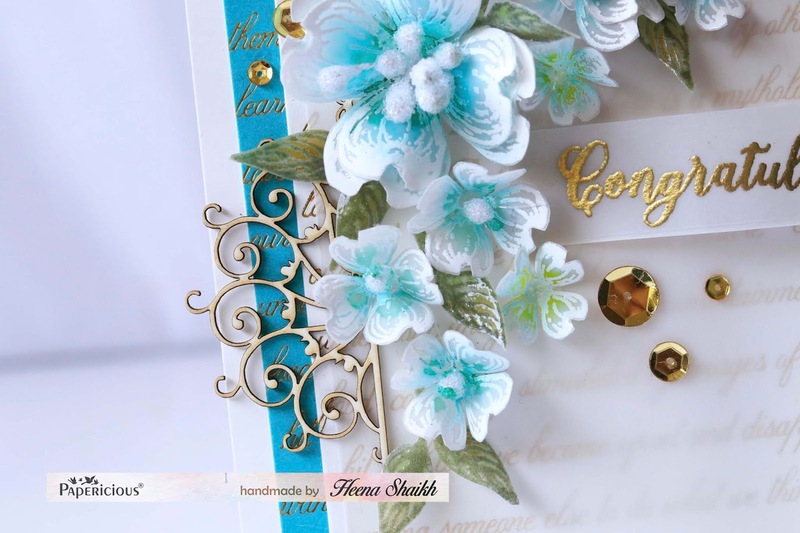 Love those blue flowers with Vellum.... and card and envelope here, Heena.. very beautiful!! 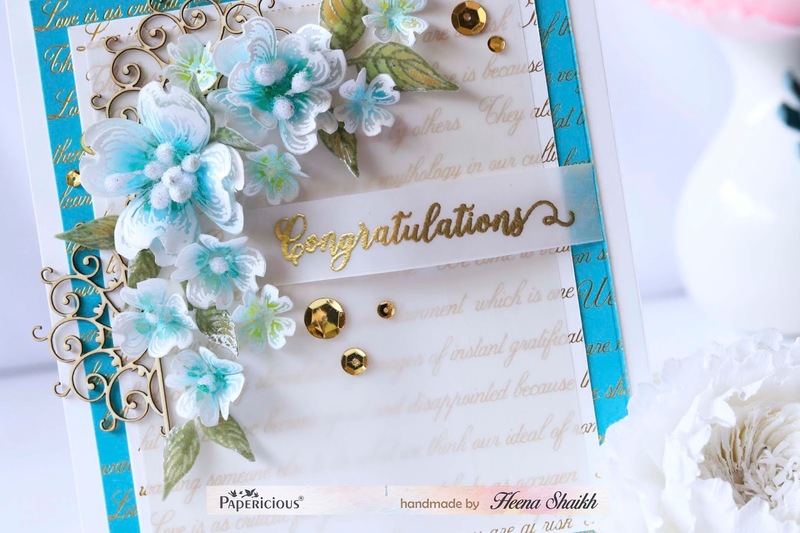 Which stamp is this on envelope ??? card with a box.Daksha .Stenciling .Distressoxides.Giftboxes. Papericious Chipboards - Square Collage. 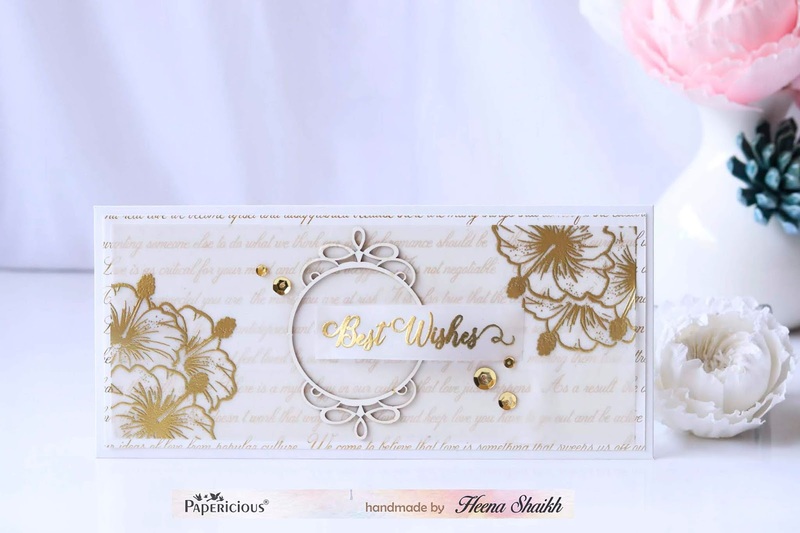 Shalini Pahwa.Papericious Scrapbook kit.Papericious Shadow Book Box.